I have been on the path of self directed education since I started working with kids. I did educational plans that were specific for the child, their interest and their strengths. I quickly became disillusioned by the public school system as my children would enter school and start to decline. I could see solutions to the problems but even basic interventions were met with a battle in most cases. I knew I did not want a top down education model for my children but I did not know what I wanted short of creating an education plan for them and hiring someone to fulfill it. After my son was born we became involved in alternative education, Waldorf, Montessori, but none of it was a right fit. 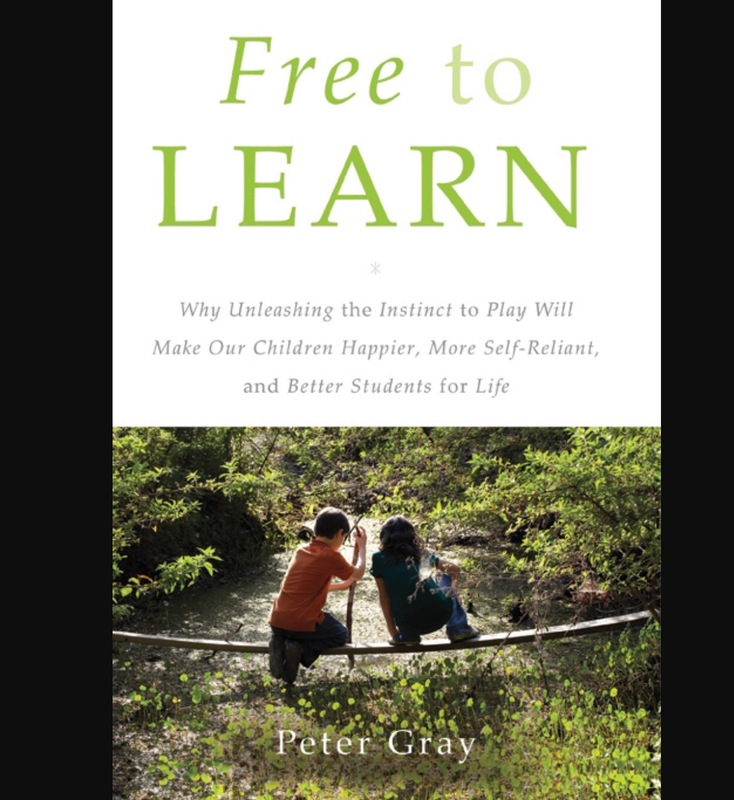 In my journeys a book called Free To Learn by Peter Gray was recommended to me so I picked it up and started to read it. It would change the journey with my children forever. It gave voice to all my concerns and talked about all the things that I had seen when working with children and families. It also talked about a different way to view education, one that I had instinctively followed but without a real sense of plan just a knowing. The book talked in depth about the theory and how it applied to unschooling or Sudbury school models. When I was given an assignment to interview an innovative educator my mind immediately went to Peter Gray and I feel privileged that I was able to interview him for this assignment. It was interesting that he has followed a very similar path as myself in his discovery of natural learning and the resistances that he has faced. It has strengthened my resolve to continue on my journey and keep striving because I know I am not the only one to face these obstacles. I would classify the problem that Peter Gray is trying to solve as complex as looked at in “Getting to Maybe”. Peter Gray is advocating to a return to a system of children being in control of their own learning. Of looking at learning as wholly an intrinsic process in which children, even adults, are free to explore, and be creative and innovative (Gray, 2013). His problem is complex because there is no recipe to follow, instead you follow the child and adapt to their needs. There are formulas such as trusting the child, free age mixing and play (amongst children not adults) but they are not rigid protocols (Gray, 2013). Expertise is also needed but it has to be balanced with the responsiveness to the child. The education system he proposes is based on the idea that every child is unique and therefore the current one size fits all model of education is inappropriate (Gray, 2013). The final premise is that children learn from each other so the education model is based solely, in essence, on different factors in their life from the people to the places to what they were exposed to. All of these factors make it into a complex problem. Peter Gray was motivated to learn and start advocating for self directed Education when his own 9 year old son was involved in the teacher directed model of education. In Free to Learn he talks very indepth about his experience of being in the principles office and his son, fed up with the system saying “Go To Hell” (Gray, 2013). He knew right then and there that it wasn’t working. He was able to pull him out and put him in a Sudbury school where his son thrived and it changed the direction of his work. He started looking at learning and how it naturally is an intrinsic process and this process is supported in a hunter gather society, or pre teacher directed model, and how teacher directed schooling goes against this model. The resistance that he faced was mainly to do with indirect resistance or other professionals ignoring his work. For a long time others in both the psychology and especially those studying education completely ignored the research that he was doing in self directed learning. He says what overcame this is essentially when he became a net contributer. As he wrote books, appeared on tv and radio and continued on to be a net contributer through blogging people started paying attention and only then did academicians start listening and reading his work. I find this very interesting because the Ted talk given by Chris Anderson (Anderson, 2010) , a curator of Ted talks, speaks talks of how whe people become net contributer the group will shine an light on them because of their skills and knowledge. Looking at the body of work that is attributed to Peter Gray you can see the desire to push through and keep going has raised him to the level of innovator. I was curious as to what motivates him, especially when having to push through the barriers of ignorance. 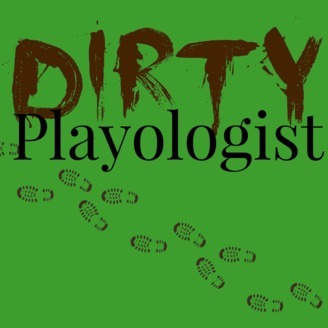 Peter Gray talks about how children learn through self directed learning which is mostly play. That children learn through intrinsic motivation and that extrinsic motivation actually kills a desire to learn and contribute (Grey, 2013). As such instead of asking him what motivates him, as it is fairly obvious that intrinsic learning motivates him, I asked him about play in his work. He does confirm that his work in his subjective estimation is about eighty percent play. It carries over to all his work, writing, researching and speaking. It is fairly refreshing to hear that it is his own sense of play that motivates him. He sees his efforts, along with others who are promoting self directed learning, contributing in the immediate sense in that people are now starting to recognize that a child has a need for free play. He also sees a shift in people understanding unschooling and democratic schooling and are no longer just dismissing these ideas as crazy. He also thinks there may also be a shift that people are seeing coercive schools as harming children. He hopes that in his lifetime there will be no top-coercive schools but instead they will be replaced with conditions that enrich opportunities for self directed learning. I asked him for any advice to give to me as I embark on this journey of fostering creativity in myself and other educators. He reiterated that creativity can’t be forced and that everything that young children do is creative. Right now we drill that out of them. But if instead we provided them with the materials they need and lots of children as playmates and stay out of their way except to facilitate we can help them maintain their creativity. He also mentioned that praise can be almost as harmful as criticism as children will begin to do things for praise instead of satisfaction and creativity will fade. If we can create the environment where both the children and adults who are learning are intrinsically motivate or doing what they want to do without doing it for a reward, when they feel they are not being judged and have a playful state of mind then we can create an environment where creativity will grow.